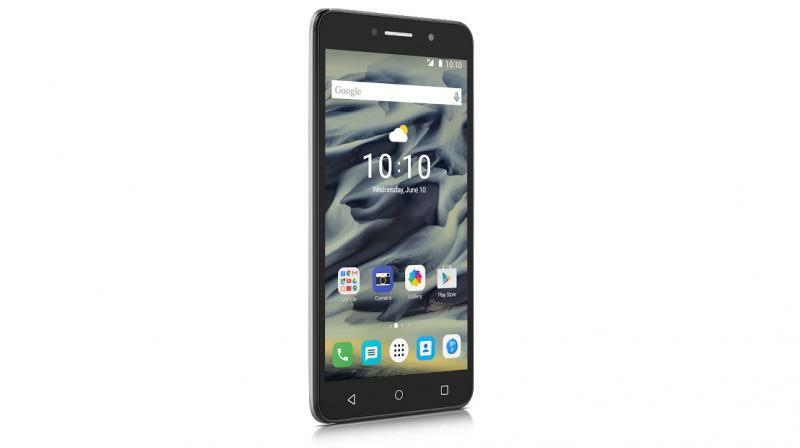 Alcatel, the TCL-owned company, has launched a new phablet in India, namely, the PIXI 4. As the moniker phablet itself suggests that the device will have a massive display and the PIXI 4 packs a 6-inch HD display, but comes with entry-level specifications which don’t justify the asking price. The Alcatel PIXI 4 feature a 6-inch HD display with a resolution of 720*1280 pixels. The device is powered by a Qualcomm Snapdragon 210 chipset, which is a quad-core chip with all the four cores clocked at 1.0GHz. Accompanying the chipset is 1.5GB of RAM and 16GB of internal storage. The onboard storage can be expanded up to 64GB via a microSD card. This phablet comes with an 8MP primary camera, coupled with a 5MP front-facing camera for selfies and video calls. While the smartphone cameras in recent times have seen a massive improvement, the phablet and tablet cameras are still in nascent stages. Moreover, most of the manufacturers are moving away from the phablet segment, so there won’t be any scope for development of the same as well in the future. Another feature in the device is the support for 4G LTE and VoLTE. Alcatel is trying to cope up with the trend of VoLTE in the country. Other connectivity options include 3G, Wi-Fi, Bluetooth, GPS, and a micro USB port for USB OTG support. This dual SIM phablet has almost all the basic sensors such as the accelerometer, proximity sensor, ambient light sensor, and digital compass. The Alcatel PIXI 4 doesn’t inspire confidence even in the battery segment as it has a smaller 2580mAh cell, which barely lasts for a day with moderate usage. The PIXI 4 measures 8.35mm in thickness and weigh 186 grams. In contrast to the PIXI 4, we have other phablets such as Xiaomi Mi Max and Lenovo Phab 2, Phab 2 Plus in the same price segment. The Xiaomi Mi Max costs Rs. 5,000 more than the PIXI 4, but is great value for money option, whereas the Lenovo Phab 2 series has support for augmented reality (AR). Overall, the Alcatel PIXI 4 is an overpriced product with outdated hardware. I have to congratulate the author. First time he has written a halfway decent and correct article in so many months. Kudos to u, chakri. This is the favourite phone of the xiaomi min6 area trollers.